(Sunday 16 September, Valencia) – On the eve of the final regatta of the season the 52 SUPER SERIES family turned out in force in Valencia to honour friend, colleague and former crew Andrew ‘Bart’ Simpson on the occasion of the 5th Bart’s Bash. 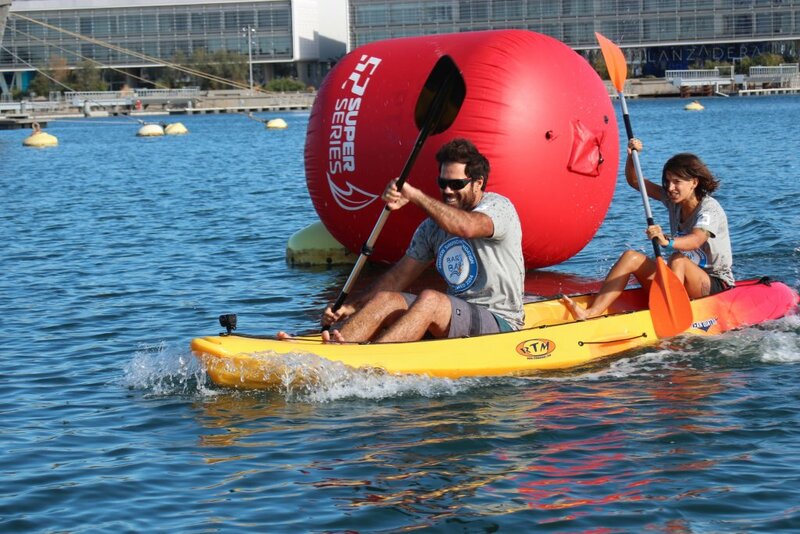 Sailors from all 11 TP52s, many of whom competed with or against Andrew during the 32nd America’s Cup here in Valencia, or when he was part of the afterguard on the TP52 Team Origin, joined in for a day of light-hearted fun. 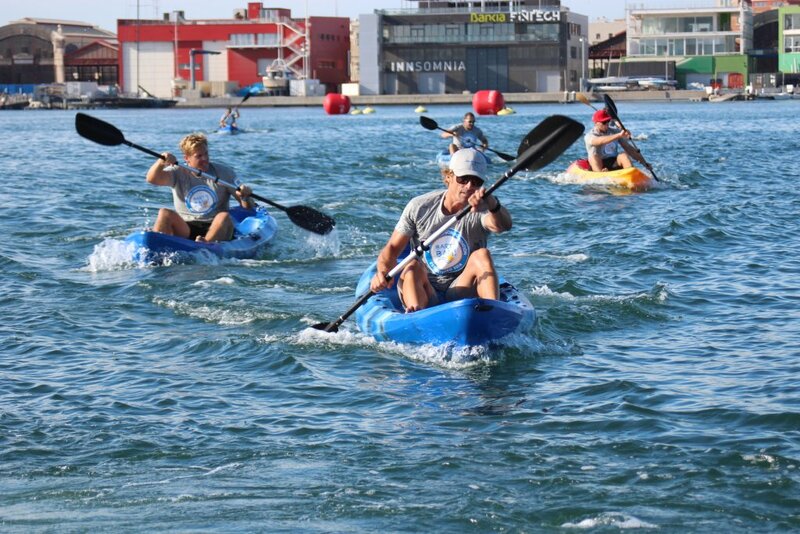 As well as an unofficial TP52 practice race that was sailed for Bart’s Bash, team members took part in a head-to-head SUP and kayak relay race. In perfect September sunshine Jimmy Spithill won the paddleboard race only 300 metres or so from where he lifted the America’s Cup in February 2010. He passed the race lead to 34th America’s Cup winning grinder Shannon Falcone, providing the grunt up front and team logistics ace Giulia Caponnetto adding a little extra paddle power behind, ensuring Luna Rossa were victorious. The third component of the “triathlon” was a post-sailing quiz with the topics centred around 52 SUPER SERIES history, sport and sustainability. Azzurra won the quiz but the overall winners of the day were Luna Rossa. “It is so nice to be here in Valencia today because Bart and myself and so many others in this group had some great times here with the 2007 Cup, we had a lot of fun on the water and some fun in the bars together occasionally too. So it is great to be back and it is so nice to see the world’s best sailors all wearing the same t-shirt with his name on, remembering him and the whole community of sailing participating. The day was supported by the 52 SUPER SERIES’ sustainability partners 11th Hour Racing who made a donation to the Andrew Simpson Foundation based on the amount of rubbish collected during a one-hour clean up by local children and members of BioAgradbles, a local organisation that organises beach clean ups and which recycles and then repurposes the plastics. 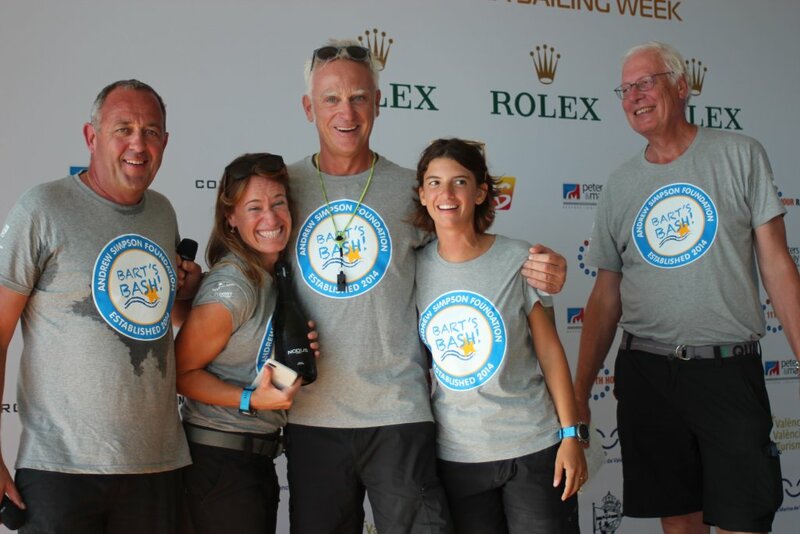 Marc Blees of Code Zero – a past Finn and Star boat sailor friend of Bart’s – provided commemorative Bart’s Bash t-shirts to all the teams and organisers, as well as donating 50% of all revenue from their 52 SUPER SERIES online shop. Donations to the Andrew Simpson Foundation are welcomed via the TP52 Justgiving page.